Are you planning your holiday in Venice? 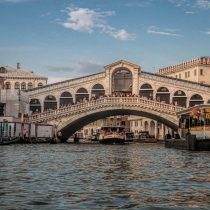 Choose Hotel Canaletto near Rialto bridge and get the best price guaranteed! We always offer you the BEST PRICE! If you do not have fixed dates, book at least 60 days in advance you will get up to 19% discount! if you stay minimun 3 nights you will get up 8 % discount!